Web pages, the beauty of the design as much as the importance of watching the website is very large. 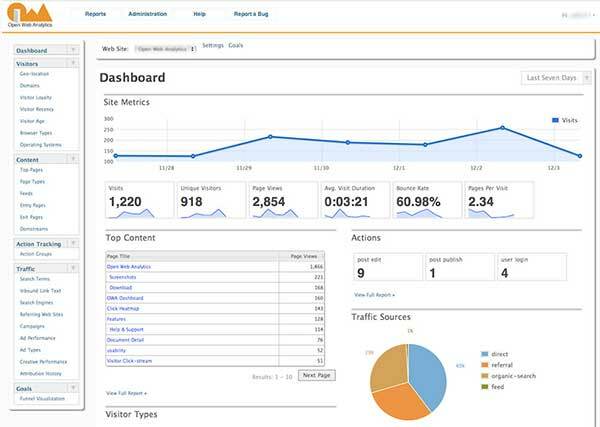 Monitoring and analysis will show the behavior of people coming to your site. In this way, it will help you on the way to success and the issues that you should focus on. With Google's service, tracking provides a wide range of tracking services, including information about the traffic source of your site, how much information was entered, which sources were accessed from your site, which ads were clicked on the page, and all information from the visitors. You can review all of your websites to the finest details on the site, which provides a free statistics service that actually includes all the reporting tools. There are many features about the site visitors and about the site, such as the monthly average and daily earnings of the website. But besides all of this, it has a more detailed reporting than google. Perhaps this web service closest to google analytics is the lack of 3rd party tracking codes. Wordpress-compatible plug-ins are also available.